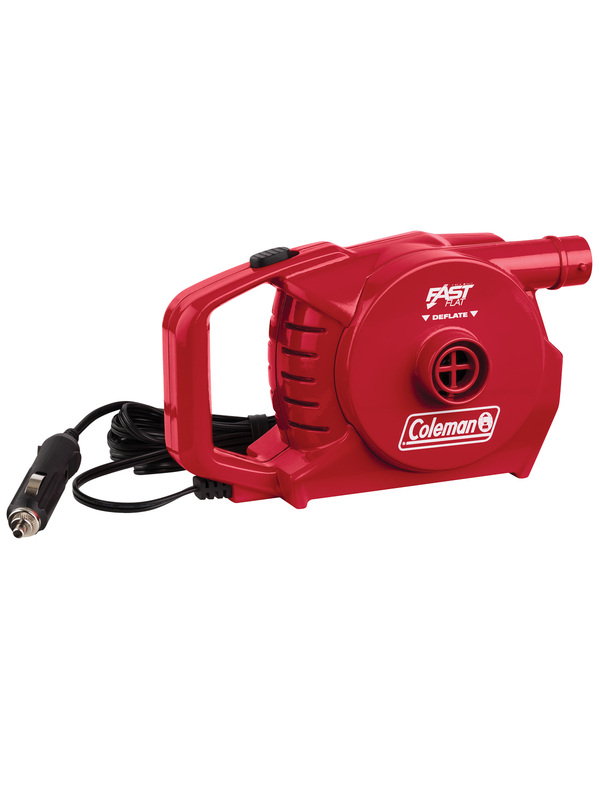 A dual action pump from Coleman. 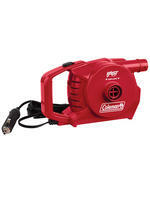 The Coleman 12V Quickpump can be used to inflate and deflate airbeds and other inflatables. Can inflate or deflate a Coleman double airbed in less than 1 minute. Double Lock? valve and pinch valve adaptors included.